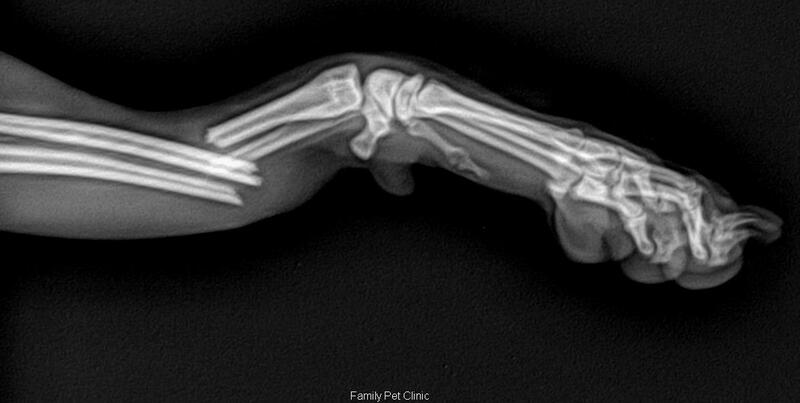 Before: Distal radius and ulna fracture on a 10 month old puppy. After: Post surgical repair and plate placement. If your pet has an odor coming from their mouth, then they are probably over due for a dental cleaning! Under general anesthesia, we are able to scale all of the teeth including under the gum line where a lot of tartar and bacteria tend to build up. Most pets have gingivitis and periodontal disease as well as loose teeth by the time they are three years old. Pet dentistry can help keep your pet’s teeth and gums clean and healthy and prevent loose teeth and infections, which can cause serious illnesses if left untreated. Dental infections can travel from the mouth into the bloodstream, causing potentially life-threatening situation. 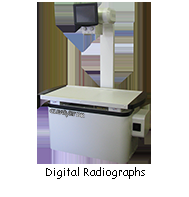 We have both in-house digital radiographs as well as in-house ultrasound screening. 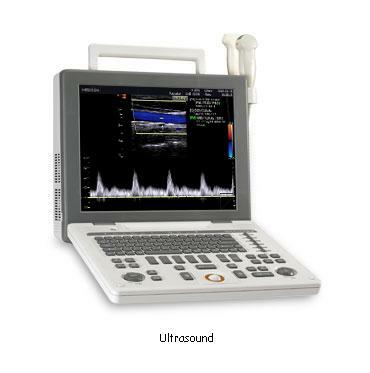 Utilizing ultrasound and radiology as diagnostic tools greatly improves the accuracy of diagnosing certain pet illnesses, including broken bones, traumatic internal injuries, foreign objects and internal masses. X-rays (radiographs) create black and white images of the internal parts of the body, according to the denseness of the part. Bones typically show up white. Internal organs appear in shades of grey and empty areas or areas with very little denseness appear black. If the x-rays need to be taken from odd angles or may cause your pet too much discomfort, we may recommend sedating your pet to make the process smoother and to lower your pet’s level of stress. Ultrasounds utilize radio waves to create images. The sound waves, which cannot be heard by human ears, bounce off internal organs and structures to create images. These images are then used to make diagnosis and to recommend courses of treatment. 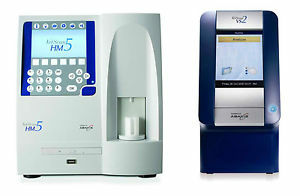 We have blood analysis machines that can give us information needed right away. We are capable of running a CBC (Complete Blood Count) and Chemistry (which will check vital organ functions). We can also test in-house for Pancreatitis, FeLV/FIV, Giardia, Parvovirus, and Heartworms. We offer house call services. If it is difficult to bring your pet into our hospital, this is an excellent option to consider. Please give us a call for more information. When it comes time for your pet to cross the rainbow bridge, there is nothing more comfortable for them than being in their own home. We are able to offer house call euthanasia services where Dr. Lee and his technician will come to your home. By providing this service at your home, it makes the experience more comforting for you and your pet during this difficult time. We use a very trust worthy and well known local company for our cremation services. You have the option of receiving your pet's ashes back in a beautiful urn as well as getting a claw paw print. Please give us a call for more information. Every Saturday between 9 am and 2 pm we have a vaccine clinic. Dog vaccinations are at a discounted rate. Walk ins welcome. Please give us a call for more information. Prices are per night. Medication administration is additional. Please call for details. Call us at (714)282-1111 to schedule your appointment today!